Week 31 (April 22-28) Analysis: May sweeps has started since Thursday and that means we're down to the final month of 2012-13 TV season. Mon-Wed of this week was filled with many repeats, but now since Thursday we're all-new the rest of the month to close the season. We don't have final network averages for Thursday yet, but we have final program averages below. We can project, through the first four night network averages, CBS is in first in HH/total viewers but Fox on top in adults 18-49. For second place in 18-49, it's a battle between NBC and CBS, with ABC trailing. In HH/viewers, CBS has the lead over ABC, with Fox, edging fourth place NBC, we can project. When the week is done, it should be Fox with the 18-49 win. CBS will edge NBC for second. ABC will be fourth still with repeats airing primarily. CBS will take total viewers for sure. More on that later. As for the previous week, week 30, Fox took home first in adults 18-49 with a 1.89 rating, compared to a 1.84 for second place NBC, with CBS right behind with a 1.77. ABC was in repeats for many of their big hits and had to settle for a 1.43. Among total viewers, it was of course CBS on top easily over second place ABC. Fox and NBC battled for third, with Fox with the edge in total viewers but NBC had the edge in HH rating. Monday had NBC win easily over ABC and Fox. But first, ABC started with a two-hour Dancing with the Stars from 8-10pm and did 13.77 million and a 2.1 18-49 rating, which is back down a tenth in 18-49 from previous week. Then Castle was all-new at 10 and did 11.76 million and a 2.3 18-49 rating, up three tenths in 18-49 week-to-week for a first place finish. For NBC, they had the two-hour The Voice from 8-10pm that did 14.15 million and a 4.9 18-49 rating, which is down three tenths in 18-49 from previous week's season high. At 10pm, NBC aired Revolution and did 5.88 million and a 2.0 18-49 rating, for a series low and down a full point in 18-49 from previous week's NBC News special. Not good news. CBS was in repeats primarily, with a repeat of How I Met Your Mother starting it off with 4.16 million and a 1.3 18-49 rating. At 8:30pm, Rules of Engagement was all-new actually and did 5.11 million and a 1.6 18-49 rating, down five tenths in 18-49 from previous week for a series low. At 9, a repeat of the falling 2 Broke Girls did 5.12 million and a 1.5 18-49 rating, not good. At 9:30pm, a repeat of Mike & Molly also was lower than normal with 5.29 million and a 1.3 18-49 rating. CBS needs some life on this night next season. At 10pm, Hawaii Five-0 was a repeat and did 5.21 million and a 1.2 18-49 rating. Fox aired a new episode of Bones at 8 and it did 7.06 million and a 2.0 18-49 rating, up a tenth in 18-49 from previous week. At 9pm, the penultimate episode of new drama The Following at 9pm did 7.04 million and a 2.4 18-49 rating, which is up three tenths in 18-49 from previous week's series low. Season finale is tomorrow night. The CW aired a new Oh Sit! at 8 and did 0.86 million and a 0.3 18-49 rating, which is down a tenth in 18-49 from previous week's season premiere. At 9, 90210 was new and did 0.49 million and a 0.3 18-49 rating, horrible but actually up a tenth in 18-49 from previous week's return. On Tuesday, CBS took the night as a Voice-fueled NBC wasn't enough for NBC. On CBS, NCIS was new at 8 and did 17.33 million and a 2.8 18-49 rating, which is good but below normal again. At 9pm, a new NCIS: Los Angeles did 14.22 million and a 2.7 18-49 rating, showing strong retention from its lead-in. At 10pm, week nine of Golden Boy in this slot did 7.94 million and a 1.4 18-49 rating, down a tenth in 18-49 from previous week and couldn't even win its hour. On ABC, at 8pm the sixth week of Splash did 4.87 million and a 1.1 18-49 rating, on par in 18-49 with previous week. Go Nicole Eggert! At 9pm, Dancing with the Stars: The Results did 12.65 million and a 2.0 18-49 rating, down two tenths in 18-49 from previous week, as we said goodbye to Victor Cruz. A new Body of Proof aired at 10pm and did 9.35 million and a 1.6 18-49 rating, which was up two tenths in 18-49 from previous week, winning the hour. It deserves a chance to return next again again, perhaps in mid-season on like a Friday or Saturday. Would benefit ABC Studios for syndication, too. NBC aired the Tuesday The Voice from 8-9pm and did 12.78 million and a 4.1 18-49 rating, easily #1 in the time period but down five tenths in 18-49 from previous week's Tuesday high. At 9pm, a two-hour showing of Eva Longoria-produced reality show Ready for Love only did 2.86 million and a 1.1 18-49 rating, which is horrible and down a tenth in 18-49 from its previous week. It is now pulled and no idea if the remaining episodes will air yet. Fox started with Hell's Kitchen at 8 and did 4.83 million and a 2.0 18-49 rating, down a tenth in 18-49 from previous week as this is a good option against the NBC juggernaut. 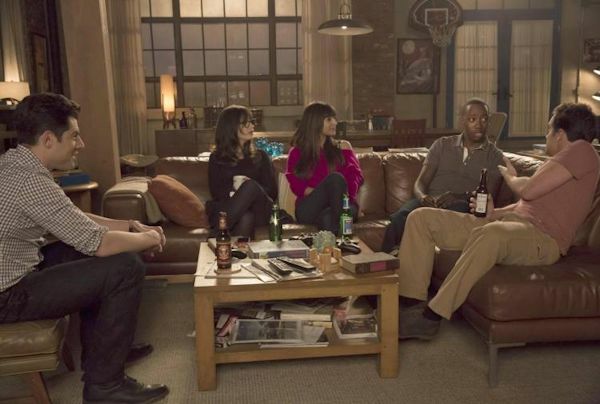 At 9pm, New Girl was a repeat again and did 2.36 million and a 1.2 18-49 rating, which is up a tenth in 18-49 from previous week's encore. At 9:30pm, a repeat of The Mindy Project did 1.81 million and a 0.9 18-49 rating, on par in 18-49 week-to-week The CW aired a new Hart of Dixie and did 1.1 million and a 0.4 18-49 rating, again down a tenth in 18-49 from previous week. A repeat of America's Next Top Model at 9 did 0.67 million and a 0.3 18-49 rating, up a tenth in 18-49 from previous week. Wednesday it was Fox with the win over CBS thanks to American Idol, as it airs two-hours every Wednesday and Fox only programs 2 hours a night. But first, CBS started the night off with a new Survivor: Caramoan at 8 doing 10.31 million and a 2.9 18-49 rating, up two tenths in 18-49 from previous week for another season high. Now the competition returns, so it might be steady or go down. Criminal Minds was a repeat at 9 and did 5.9 million and a 1.4 18-49 rating, which is down two tenths in 18-49 from previous week and below what it usually can do for a repeat. At 10pm, CSI was also a repeat and did 7.76 million and a 1.5 18-49 rating, built on its lead-in and up two tenths in 18-49 from previous week's Elementary repeat in the hour. That old faithful can beat the newbie anyway. ABC kicked off the night with a repeat of The Middle doing 4.76 million and a 1.2 18-49 rating. A special 8:30pm repeat of Modern Family was next doing 4.38 million and a 1.4 18-49 rating. Look for new series Family Tools in this timeslot this Wednesday at 8:30pm. Our review will be posted on Tuesday. At 9pm, a repeat of Modern Family at its normal time did the best of the block with 5.35 million and a 1.8 18-49 rating, down two tenths in 18-49 from previous week. The fourth episode of How To Live With Your Parents (For the Rest of Your Life) followed at 9:30pm with 4.81 million and a 1.5 18-49 rating, down five tenths in 18-49 from previous week. A little concerning, but it has four weeks of new episodes of Modern as lead-in beginning this week. Look for our review of this week's episode on Wednesday...Sarah Chalke in lingerie! At 10pm, Nashville was a repeat and did 2.97 million and a 0.8 18-49 rating, on par in 18-49 with previous week. New episodes return this Wednesday! On Fox, a two-hour American Idol did a solid 12.46 million and a 3.3 18-49 rating, down a tenth in 18-49 from previous week despite the many repeats in competition. Onto NBC a new Dateline started it off at 8pm with 5.57 million and a 1.3 18-49 rating, which was up a tenth in 18-49 from previous week. Law & Order: SVU followed at 9pm with a new episode that did 7.35 million and a 1.9 18-49 rating, as that is fool's gold since its main competition was in repeats. At 10pm, Chicago Fire was a repeat and did 3.99 million and a 1.0 18-49 rating, which is up a tenth in 18-49 from previous week. The CW aired a new episode of its hit Arrow and did 3.1 million and a 1.0 18-49 rating. At 9pm, a new Supernatural did 2.38 million and a 1.0 18-49 rating, as usual - solid and younger-skewing. On Thursday, it was CBS with the win to start off May sweeps, but they were below normal. Starting with ABC, a new Wife Swap aired and did 3.42 million and a 1.1 18-49 rating, down four tenths in 18-49 from previous week, as its season finale is this Thursday. At 9pm, Grey's Anatomy was all-new and did 8.24 million and a 2.7 18-49 rating, good enough to win its hour. The nine-year old series still has legs, mustering a sophomore drama on CBS and slumping shows on Fox and NBC. At 10pm, ABC aired an all-new episode of TV's #1 show at 10pm Scandal doing 7.9 million and a 2.8 18-49 rating, tying a series high in adults 18-49. Wow...this show could explode even more next season and perhaps the season finale this year will be over a 3 easily. CBS at 8pm had a new The Big Bang Theory did the best of course with 15.05 million and a 4.5 18-49 rating, easily winning its timeslot and #1 scripted series of the week (but not #1 program, as The Voice took that). Two and a Half Men followed with a new episode at 8:30pm with 11.32 million and a 2.8 18-49 rating, which is a season low. At 9, Person of Interest was new at 9pm and did 13.22 million and a 2.4 18-49 rating, as it couldn't top the hour with a stronger lead-in. It's just an older skewing series and CBS needs to move it to lower-profile slot like Tuesdays at 10. At 10pm, Elementary was new and did 10.07 million and a 2.0 18-49 rating, as it can't even compete with Scandal anymore. Fox had American Idol from 8-9pm and did 11.4 million and a 2.8 18-49 rating, which was again down two tenths in 18-49 from previous week. Glee was new at 9 and did 5.24 million and a 1.8 18-49 rating, again down three tenths in 18-49 from previous week. It's getting crushed when it has competition. NBC mostly aired new episodes of its comedies, as a new Community did 2.33 million and a 1.0 18-49 rating, which is down three tenths in 18-49 from previous week tying its low. A special rerun of The Office at 8:30pm did just 1.84 million and a 0.9 18-49 rating, down a tenth in 18-49 week-to-week. At 9pm, a new episode of The Office did only 3.25 million and a 1.7 18-49 rating, which is below normal and only on par in 18-49 with previous week's Parks & Rec in the timeslot. At 9:30pm, a new episode of Parks & Recreation aired and did 2.59 million and a 1.3 18-49 rating, down four tenths in 18-49 from previous week. At 10pm, NBC aired week four of new drama Hannibal doing just 2.4 million and a 1.0 18-49 rating, down four tenths in 18-49 from previous week for a series low. People were giving it props when it went up but those people don't know what they're talking about since it was up against zero new programming. Now it finally faced new shows and dropped like a rock. It is Friday-bound if anything next season. The CW's big gun Vampire Diaries aired at 8 and was all-new doing 2.24 million and a 1.0 18-49 rating, as that is below average for this series but on par in 18-49 with previous week. At 9, Beauty and the Beast was also new and did 1.24 million and a 0.5 18-49 rating, down a tenth in 18-49 from previous week. It was picked-up for a second season, but I bet it will be on the move to another night. Now, final numbers for Friday and Saturday are not available, but we have prelim ratings. On Friday, CBS barely took the night but ABC had the top show as usual. At 8pm, Undercover Boss on CBS easily won its hour over second place Kitchen Nightmare on Fox. NBC's Fashion Star and ABC's Happy Endings were way behind. At 9pm, Friday's #1 show was new and of course that is ABC's Shark Tank and it crushed the competition. Grimm was a distant second for NBC, followed by Vegas on CBS and Fox's Touch was way behind. At 10pm, CBS drama Blue Bloods edged out a low-rated win over newsmags 20/20 on ABC and Rock Center with Brian Williams on NBC (which was a distant third). Saturday had Fox win the night with NASCAR coverage. ABC, NBC, and CBS were all low. Fox preempted Cops and a repeat of The Following. NBC settled for a new Smash at 8pm that was dead last, well it tied a CBS special on Floyd Mayweather. ABC's third week of new game show Bet On Your Baby did second at 8pm. At 9pm, a repeat of The Voice was tied for second and a repeat of SNL at 10 grew from it but NBC was still second place. From 9-11pm, ABC aired the movie Over the Hedge and was tied for second at 9 and was third at 10. CBS took the 10pm hour with 48 Hours and was tied for second at 9 with a repeat of Criminal Minds. Tonight ABC Sunday is all-new from 7-11pm. All-new episodes of AFV, Once Upon a Time, Revenge and Red Widow air! Once should do well and we have a big Revenge episode. I think it will be a second place finish for ABC, but 10pm could be troublesome. NBC devotes the night to The Voice repeats from 7-9pm, which will struggle a bit then a new Celebrity Apprentice: All-Stars from 9-11. NBC will likely finish in third. CBS has 60 Minutes at 7, followed by new episodes of Amazing Race, season finale of The Good Wife & The Mentalist, which will likely be a fourth place finish since it skews old. Fox's animation block is all-new from 7:30-10pm, and could be enough to win the night. Family Guy should top the night over Once, Amazing Race and Revenge. As for the week (week 31), Fox will take the week in 18-49 over CBS I think because of the consistent performance on Saturday and tonight. CBS will likely be in second in 18-49, followed by NBC and ABC. For total viewers, CBS will remain first. ABC will be second over Fox, followed by NBC in a competitive fourth. As for the coming week (week 32), it's the first full week of May sweep, so now game is on and we'll know who is strong or not. Highlights include season finales for Fox Monday tomorrow night and the Tuesday premiere of Grimm on NBC at 10pm opposite the highly anticipated interview with Amanda Knox on ABC. The series premiere of Family Tools on ABC Wednesday at 8:30pm. On Thursday we have season finales of Wife Swap on ABC and Parks & Recreation on NBC, while on Friday its the finale of Happy Endings on ABC from 8-9pm and Cops on Fox next Saturday. The Simpsons (Fox) - A repeat at 8 did 3.67 million and a 1.57 18-49 rating, which was almost close to the new airing's ratings from the previous week. The Cleveland Show (Fox) - Its normal time of 7:30pm was new and did 2.02 million and a 0.88 18-49 rating, down like three tenths in 18-49 from previous week's 1.2 18-49 rtg. 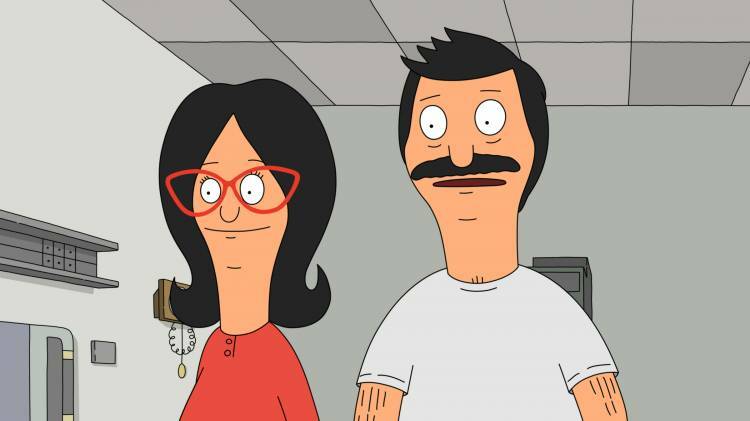 Bob's Burgers (Fox) 2 airings - The 8:30 airing was new and did 3.74 million and a 1.72 18-49 rating, up like a tenth in 18-49 from previous week despite the lead-in being a repeat. Good sign. A repeat at 7pm did only 1.56 million and just a 0.61 18-49 rating, down around a tenth in 18-49 from previous week. Family Guy (Fox) - A repeat at 9 did 4.07 million and a 1.84 18-49 rating, which was still the best of the block. American Dad! (Fox) - A new episode at 9:30pm did 3.81 million and a 1.77 18-49 rating, which is down around three tenths in 18-49 from previous week. How I Met Your Mother (CBS) - A repeat averaged 4.16 million and a 1.3 18-49 rating, which is below normal. Rules of Engagement (CBS) - A new showing did 5.11 million and a 1.6 18-49 rating, which is down five tenths in 18-49 from previous week for a series low, though it followed a repeat. 2 Broke Girls (CBS) - A repeat struggled with 5.12 million and a 1.5 18-49 rating, which is below normal. Mike & Molly (CBS) - At 9:30pm, a repeat of this show built on its lead-in in total viewers with 5.29 million but just a 1.3 18-49 rating. CBS Monday is struggling in 2013. 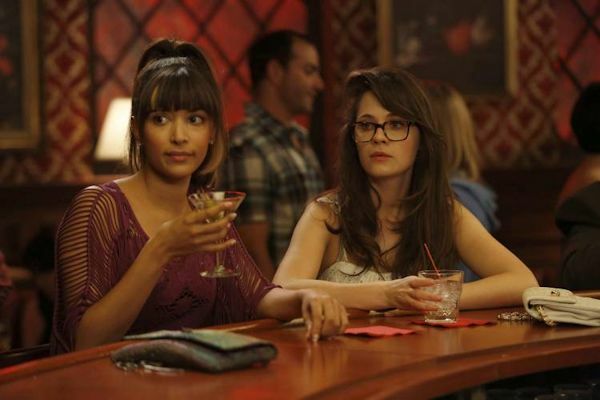 New Girl (Fox) - A repeat did 2.36 million and a 1.2 18-49 rating, which is up a tenth in 18-49 from previous week. The Mindy Project (Fox) - A repeat of this show did only 1.81 million and a 0.9 18-49 rating, but on par in 18-49 with previous week. The Middle (ABC) - A repeat posted 4.76 million and a 1.2 18-49 rating, which is OK.
Family Tools (ABC) - Series premiere is this Wednesday at 8:30|7:30c! Modern Family (ABC) 2 airings - A repeat at 9 did 5.35 million and a 1.8 18-49 rating, which is down two tenths in 18-49 from previous week. A special repeat leading in at 8:30pm did 4.38 million and a 1.4 18-49 rating. How To Live with Your Parents (For the Rest of Your Life) (ABC) - A new episode at 9:30pm did 4.81 million and a 1.5 18-49 rating, down five tenths in 18-49 from previous week, but this episode followed a repeat again. Now the next four weeks it will follow new episodes, and if it can do a 2.5+, it will be back next season in this timeslot. The Big Bang Theory (CBS) - A new episode at 8pm posted 15.05 million and a 4.5 18-49 rating, which is excellent as usual but a bit below normal. Two and a Half Men (CBS) - A new episode followed with 11.32 million and a 2.8 18-49 rating, which is below normal as well and a season low. 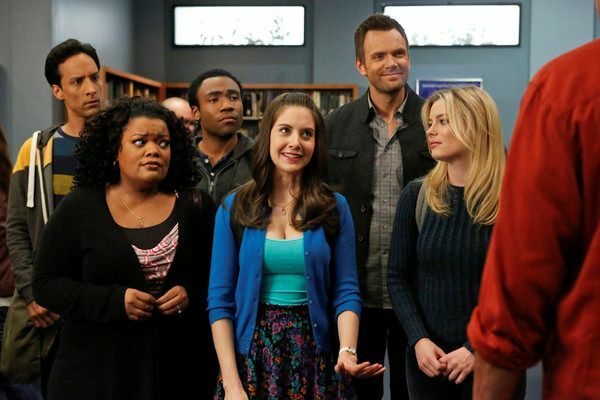 Community (NBC) - A new episode did just 2.33 million and a 1.0 18-49 rating, down three tenths in 18-49 from previous week. I don't think NBC will bring it back. Perhaps Comedy Central? The Office (NBC) 2 airings - A special repeat at 8:30pm did just 1.84 million and a 0.9 18-49 rating, down a tenth in 18-49 from previous week. The 9pm airing was all-new, but it did forgetful 3.25 million and a 1.7 18-49 rating, as this show is limping towards the finish. 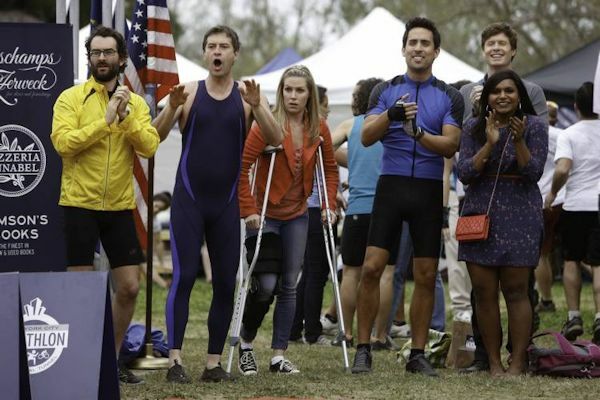 Parks & Recreation (NBC) - A new episode at 9:30pm did 2.59 million and a 1.3 18-49 rating, not good at all...down four tenths in 18-49 from previous week. Heck, even lower than what it was doing at 8:30pm. Happy Endings (ABC) 2 episodes - An all-new episode at 8pm struggled with just a prelim 2.22 million and a prelim 0.5 18-49 rating for a series low. A second episode did a bit better in 18-49 but did just a prelim 1.8 million and a prelim 0.6 18-49 rating. If ABC passes, I hope USA or TBS or anyone picks it up. It's such a good show. Summing it up. The Big Bang Theory, Two and a Half Men, Modern Family, were impressive for the week. Everything else was OK (such as How To Live With Your Parents, The Office) or just plain terrible (such as Parks & Recreation, Community). In a last minute scheduling maneuver, The Hallmark Channel is dropping Happy Days from its line-up effective Monday (April 29, 2013). The classic sitcom was airing weekdays in a block from 2-5pm. Replacing the cool-amundo sitcom will be the return of two popular dramas: The Waltons and Little House on the Prairie. The dramas will air weekdays from 2-5pm with The Waltons at 2pm and Little House getting back-to-back hours at 3pm & 4pm. 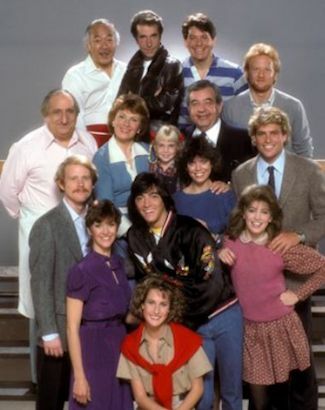 No word yet if and when Happy Days will return, but it is not on the current line-up now. Enjoy its last day (for now?) today. No other schedule changes will be made, which means series like The Brady Bunch (weekdays 5-8pm) will remain. Groovy. If our memory is correct, The Waltons will be airing for the first time since being removed in October while Little House hasn't aired on Hallmark since the end of December, which was a result of the addition of Happy Days/Brady Bunch in January. Stay with us for continued updates and we hope The Fonz and team are back soon, but you can still watch Happy Days on INSP and The Hub at least. For the week of April 29-May 3, 2013, we have many current sitcom stars and past sitcom stars on TV talk shows! All times listed are Eastern. So get your DVR's (or whatever you use) ready! Ready? Here is all what you need to know for the coming week! Leah Remini (Family Tools/The King of Queens) - Watch Leah on Jimmy Kimmel Live! at 11:35pm on ABC. Family Tools premieres on ABC on Wednesday, May 1 at 8:30PM ET/PT. Brad Garrett (How to Live with Your Parents (for the Rest of Your Life)/'Til Death/Everybody Loves Raymond) - Brad visits Conan at 11pm on TBS. Jim O'Heir (Parks and Recreation) - Jim stops by The Late Late Show with Craig Ferguson at 12:37am on CBS. Marilu Henner (Taxi) - Marilu guest co-hosts Anderson Live, so check your local listings. Jenny McCarthy (Two and a Half Men/Jenny) - Jenny guest co-hosts The View Monday-Wednesday on ABC at 11am ET/10am CT-PT. Tyler James Williams (Go On/Everybody Hates Chris) - Tyler talks about his about starring in Tyler Perry's new film, Peeples, on The Wendy Williams Show at 12am on BET or on your local stations. Kyle Bornheimer (Family Tools/Worst Week/Romantically Challenged) - Kyle joins the Chew Crew on The Chew on ABC at 1pm ET/12pm PT/CT. Melissa Joan Hart (Melissa & Joey/Sabrina, the Teenage Witch) - Melissa is a guest on The Ricki Lake Show, so check your local listings. Sherri Shepherd (Less Than Perfect/Sherri) - Sherri will be on ABC's Good Morning America in the 8am hour. Michael Ian Black (Ed) - Michael appears on The Late Late Show with Craig Ferguson at 12:37am on CBS. Sarah Chalke (How to Live with Your Parents (for the Rest of Your Life)/Scrubs/Roseanne) - Sarah is part of the guest panel on Chelsea Lately on E! at 11pm. Jim Parsons (The Big Bang Theory) - Jim drops by LIVE! with Kelly and Michael, so check your listings. Hilary Duff (Lizzie McGuire) - Hilary visits NBC's Today between 9-10am. She will also be on The View on ABC at 11am ET/10am CT-PT. Sally Kellerman (M*A*S*H) - Sally chats on Joy Behar: Say Anything! at 9pm on Current. Sherri Shepherd (Less Than Perfect/Sherri) - Sherri is a guest on The Dr. Oz Show, so check your local listings. Patricia Heaton (The Middle/Back to You/Everybody Loves Raymond) - Patricia guest co-hosts The View on ABC at 11am ET/10am CT-PT. Kyle Bornheimer (Family Tools/Worst Week/Romantically Challenged) - Kyle appears on ABC's Good Morning America between 7-9am. Julia Louis-Dreyfus (The New Adventures of Old Christine/Seinfeld) - Watch Julia on Conan at 11pm on TBS. Bob Saget (How I Met Your Mother/Full House) - Bob stops by Conan at 11pm on TBS. Brooke Shields (Suddenly Susan) - Brooke heats up the kitchen with Mario and braised beef short ribs with snow peas and oyster mushroom salad on The Chew on ABC at 1pm ET/12pm PT/CT. Craig Robinson (The Office) - Craig appears on NBC's Today between 7-9am. Jackée Harry (The First Family/227/Sister, Sister) - Jackée and other guests discuss breasts on The Ricki Lake Show, so check your local listings. Angela Kinsey (The Office) - Catch Angela on The Late Late Show with Craig Ferguson at 12:37am on CBS. Friends is coming to TV Land in June! The hit 1994-2004 sitcom starring Jennifer Aniston, Courteney Cox, Lisa Kudrow, Matt LeBlanc, Matthew Perry, and David Schwimmer is about group of friends in Manhattan. The series currently airs on sister network Nick at Nite every night from 11pm-1am, and it will continue to air on that network as well. Both Viacom networks will share the series with TBS, which has the morning/afternoon rights. TV Land will launch Friends with a five-night marathon event on Friday, June 14 through Tuesday, June 18, 2013 from 7pm-6am ET/PT each night. The hit comedy will also air Wednesday, June 19 from 9-10pm leading into the return of Hot in Cleveland at 10pm, as it airs it live episode! The Exes and The Soul Man season premieres will follow from 10:30-11:30pm. Friends will settle into its regular schedule beginning on Monday, June 24, airing all night every Monday from 7pm-6am, along with a late night Tuesday night airing from 4:30-6am and Wednesdays in primetime from 9-10pm leading into Hot in Cleveland every Wednesday night this summer. The sitcom performs well in the ratings on sister network Nick at Nite and it will now try to do the same for two or three nights a week on TV Land. No other schedule changes will be really made for TV Land in June besides the addition of Friends. In other stunts, TV Land will present a 24-hour Hot in Cleveland marathon to get ready for the second half of season four, with the marathon event starting at 12 midnight on Friday, June 7 through midnight on Saturday, June 8. 24-hours of Betty! 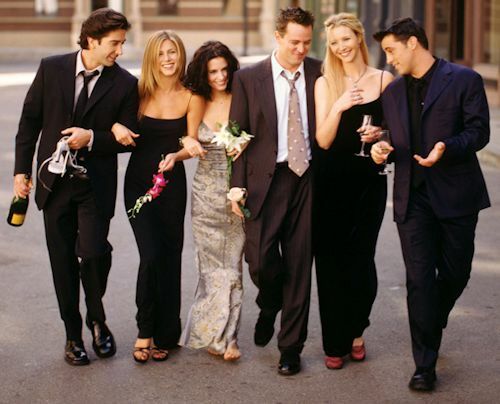 Anyway, stay with us for continued updates on Friends on TV Land because we'll always be there for you! NBC's Thursday night comedy that stars Joel McHale airs Thursdays at 8|7c and we have just watched the next episode that airs tonight (April 25). In the episode airing tonight, "Basic Human Anatomy," when Annie (Alison Brie) and Shirley (Yvette Nicole Brown) learn that Leonard (Richard Erdman) is actually holding the spot as the class valedictorian, they join forces to bring him down. Meanwhile, Troy (Donald Glover) and Abed (Danny Pudi) reminisce about one of their favorite body switching films and when they inadvertently re-enact a critical scene, things start becoming a little funky at Greendale. Watching Community has been kind of hard this season. Not because it's been bad - it's felt slightly off at times, but remains a very enjoyable show - but because, after the firing of creator Dan Harmon, it's hard to objectively look at an episode and not wonder how Dan Harmon would've done it. No matter how talented the cast and remaining writers are, Harmon had such a distinct vision for the show that there was no way the show could've matched what it was under his control. That's why Community tends to be most enjoyable these days when it's not trying any big concepts and is just letting you hang out with the characters - you don't have to worry if the concept could've been better under Harmon, you just get the spend some time with a bunch of characters that are still among the best on television. Comedians D.L. Hughley and Michael Ian Black have signed on to host the TBS original series Trust Me, I'm a Game Show Host, the first game show in which two hosts duel to deceive contestants. The project was originally slated for ABC in 2010 (hosted by Bill Engvall and Mo Rocca). 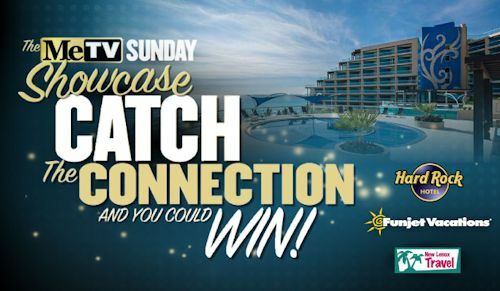 Slated to premiere in late 2013 on TBS, Trust Me, I'm a Game Show Host comes to TBS from Mark Burnett's One Three Media and the London-based Monkey. Burnett (The Voice, Shark Tank) and Monkey founders Will MacDonald and David Granger (Made in Chelsea, Make My Day) serve as executive producers. 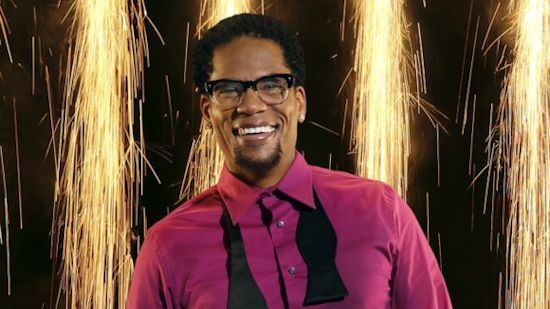 In Trust Me, I'm a Game Show Host, Hughley and Black will each present the single contestant with a bizarre and seemingly implausible fact, one of which is true, the other of which is not. The contestant must then choose the true fact to be rewarded in the game. The players who prove themselves to be super-human lie detectors will go home with a pocketful of cash. D.L. Hughley was mostly recently seen on the 16th season of the ABC hit show Dancing with the Stars, alongside partner Cheryl Burke. As an actor, Hughley has starred in the popular 1998-2002 ABC/UPN sitcom The Hughleys, which he also produced, and the Aaron Sorkin drama Studio 60 on the Sunset Strip. Michael Ian Black appeared on several television show before landing the role of Phil Stubbs, the quirky bowling alley manager on NBC's Ed. He followed that with two Comedy Central series: Stella, co-created with Michael Showalter and David Wain, and Michael and Michael Have Issues. 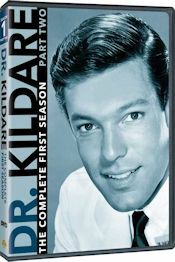 Black has since co-starred on the series Reaper, Backwash and Burning Love. This is the second TBS show that we just mentioned that will feature a host, as last week we mentioned Theo Von hosting Deal with It from Howie Mandel. Stay with us for a premiere date and further updates on Trust Me, I'm a Game Show Host. 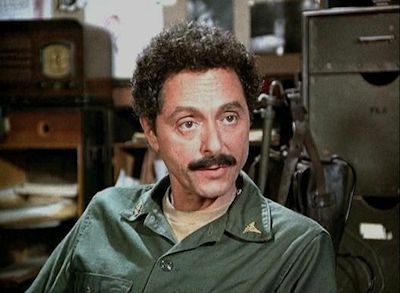 Character actor Allan Arbus, best known for his recurring role as the psychiatrist Major Sidney Freedman in M*A*S*H, has died. He died on April 19 at his home in Los Angeles from complications of congestive heart failure. Mr. Arbus was 95. Other comedy guest appearances included Here Come the Brides, The Odd Couple, Karen, The Tony Randall Show, Taxi, Duet, Stat, Brooklyn Bridge and Curb Your Enthusiasm. 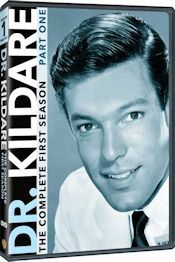 Some of his many other television appearances included Hawaii Five-0, Wonder Woman, The Rockford Files, Starsky & Hutch, Quincy, M.E.,, L.A. Law, Matlock, Hunter, Law & Order, In the Heat of the Night, NYPD Blue and Judging Amy. Arbus' film credits included Greaser's Palace, Scream, Pretty Peggy, W.C. Fields and Me, Coffy, Damien: Omen II and Crossroads. Survivors include his wife Mariclare Costello and three daughters - Amy, Doon and Arin. Sidney Freedman was a very funny and likable character. He gave this memorable quote in two episodes: "Ladies and gentlemen, take my advice: Pull down your pants and slide on the ice." His appearances were always a treat. Mr. Arbus will be greatly missed. Goodbye, farewell and amen. 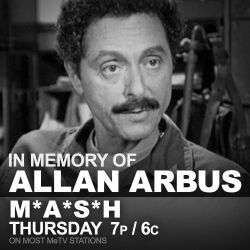 In tribute to late actor Allan Arbus, best known for his recurring role as the sarcastic psychiatrist Major Sidney Freedman at the 4077th, The MeTV Network will feature two episodes of M*A*S*H guest starring Arbus from 7:00-8:00pm ET/PT in the regular M*A*S*H time period on Thursday, April 25, 2013. The episodes airing are "Dear Sigmund" from season five and "Bless You, Hawkeye" from season nine. What are your favorite Sidney Freedman scenes and quotes? Discuss them on our M*A*S*H message board. The digital subchannel space is now more crowded. We told you about Movies! launching on Fox owned networks digital subchannels later this spring (late May), now we have another movie-themed network, Sony Pictures Television (SPT) Networks announced plans to launch getTV, a new US digital broadcast television network airing classic movies, in the fall of 2013. The third wholly owned Sony-branded channel in the US, getTV will premier on the digital subchannels of Univision Television Group owned television stations. SPT is in active discussions with other stations groups in advance of launch. getTV will bring viewers the best movies from Hollywood's golden era. Programming will be primarily from the Sony Pictures library, featuring more than 3,500 films, including 12 Best Picture Academy Award® winners. A sampling of movies from the library include: Lawrence of Arabia, It Happened One Night, and The Bridge on the River Kwai. getTV will be carried on the digital subchannels on Univision Television Group owned television stations in 24 markets, including 17 of the top 20 DMAs. These DMAs account for 44% of all US television households, representing more than 50 million homes. getTV will join the new Movies! and existing networks which air classic TV and/or movies like Antenna TV, MeTV, ThisTV, Bounce TV, Cozi TV and RTV in this space. We'll have more on this network soon, but it doesn't appear it will be newsworthy for us since there will be no sitcoms or TV series like on Antenna TV, MeTV, ThisTV, Cozi TV and RTV. But of course stay with us for continued updates on this network and all of those other ones as well. Futurama rockets into space for the (second) final time as the Emmy(R) Award-winning series will conclude its long history with this summer's all-new season. The thirteen-episode summer run will premiere on Comedy Central with back-to-back episodes on Wednesday, June 19 at 10:00pm with the emotional series finale scheduled for Wednesday, September 4. Special guest stars for the final season include Larry Bird, Dan Castellaneta, Sarah Silverman, George Takei, Adam West and Burt Ward. 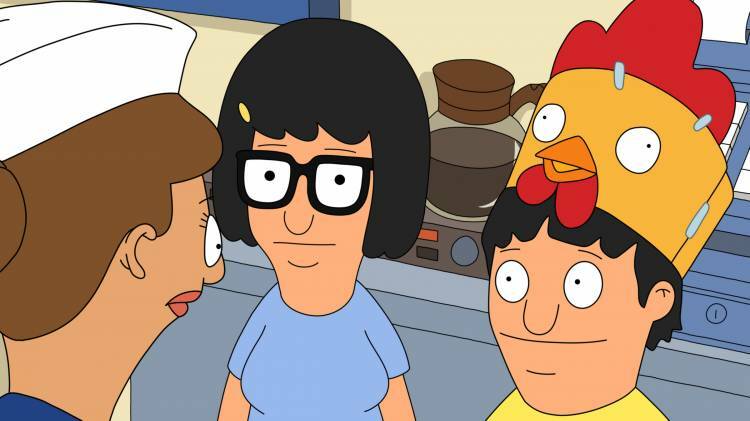 The show's entire original voice cast will be returning. Including the yet-to-air season, this will bring the total number of episodes in Futurama's storied history to 140. Comedy Central will celebrate the final season of Futurama with a host of bonus content on cc.com including weekly episode previews, highlights and photo galleries featuring concept artwork from the upcoming episodes. The site also contains clips from the entire library of Futurama episodes and features exclusive interviews with the show's cast, as well as with Matt Groening and David X. Cohen, plus a "making of an episode" mini-documentary. Later this month, Comedy Central will begin its summer-long celebration of the final season with the launch of "Countdown to Futurama" on Facebook, where its fan base has grown from one million "likes" prior to its 2010 resurrection on Comedy Central to over 26 million "likes" today, making it one of the top television pages on Facebook. The "Countdown" celebration will feature new and exclusive content daily, including clips, episode stills, character designs and more. 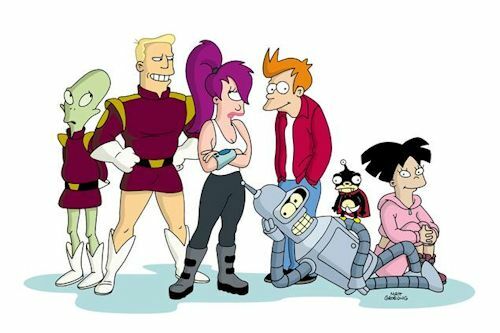 In addition, the celebration will extend to the Comedy Central Tumblr which will offer a "Futurama Fanarama" feature spotlighting fan tributes to the series and its final season. The series first aired on Fox from 1999-2003 and then was brought back in 2007 with four direct-to-DVD movies that subsequently aired as 30-minute episodes on Comedy Central. Based on their success, Comedy Central ordered new seasons of the series which made a triumphant return to television in June 2010. Over the course of its storied run, Futurama has earned six Emmy(R) Awards--including two Outstanding Animated Program, seven Annie Awards, two Environmental Media Awards and two Writer's Guild of America Awards. MTV2 Adds Smart Guy, Living Single; MeTV Network Adds 7 More Affiliates, Win a Trip to Cancun, T-Shirts from MeTV! Last month we mentioned that MTV2 has acquired '90s comedy Living Single, but now we have more details and when it is airing! It will quietly premiere next Saturday night/Sunday morning (April 27-28) from 4-8am. That is not its regular slot, as the sitcom will regularly air Monday, Wednesday, Thursday, and Friday nights from 1am-3am beginning on April 29. It will replace Everybody Hates Chris, which was airing on those days from 1-4am. Chris will still air on weekends, while the 3-4am hour on those nights will now be The P.J.'s. 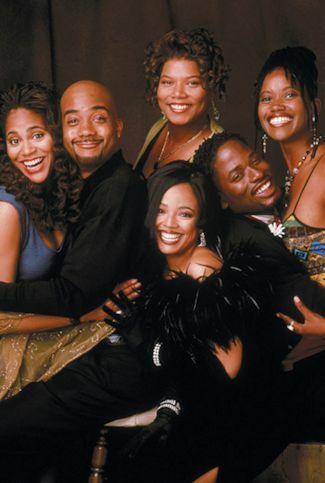 As for Living Single, it will follow Martin, which airs 11pm-1am on those nights. Living Single will also air Sunday mornings around 9-11am following The Wayans Bros., but there is no set schedule. The second addition to the schedule is brand new and was not previously announced. MTV2 has acquired the rights to the Tahj Mowry sitcom Smart Guy. The sitcom launched on April 13 and is airing every Saturday morning from 8am-12pm. Yes, that sounds a little familiar because GMC has been airing in on Saturdays as well from 9am-12pm and will continue to do so. For a show that lasted just three seasons in the late '90s, this show sure does get around, as it also has been seen in the past on Disney, BET and Centric. Back to Living Single, yes it will continue to air on TV One as well. We're not sure when TV One loses rights and if MTV2 will have exclusive rights or not yet. Stay with us for continued updates on the sitcoms coming to MTV2, BET and Centric. The MeTV Network is getting even more affiliates! The MeTV Network has signed seven new affiliation agreements with stations in these markets: Nashville (DMA #29); Grand Rapids-Kalamazoo-Battle Creek, Michigan (DMA #38); Rockford, Illinois (DMA #135); Monroe, Louisiana (DMA #137); Sioux City, Iowa(DMA #147); Bismarck-Minot, North Dakota(DMA #151); and Bluefield-Beckley, West Virginia (DMA #156). These new affiliates bring MeTV to 147 markets; the network now clears a whopping 89% of the country. Word Broadcasting-owned WJDE-Nashville will launch on June 1, 2013 and will be seen on channel 31.1. Christian Faith Broadcast-owned WLLA-Grand Rapids-Kalamazoo-Battle Creek will launch on July 4, 2013 and will be seen on channel 64.2. Quincy-owned WREX-Rockford launched on April 4, 2013 and can already be seen on channel 13.3. Sonrise Communications-owned KWMS-Monroe launched on April 1, 2013 and can already be seen on channel 18.1. Quincy-owned KTIV-Sioux City will launch on July 1, 2013 and will be seen on channel 4.3. Hoak Media-owned KFYR-Bismarck-Minot will launch on May 1, 2013 and will be seen on channel 5.2. Quincy-owned WVVA-Bluefield-Beckley launched on April 4, 2013 and is seen on channel 6.3. So, now in addition to being available in all top ten television markets, the network can be found in 28 of the top 30 markets in the U.S., with the addition of Nashville.